At SuperEscapes we promise you the lowest prices available. If you make an online booking and later find your holiday combination on sale, and available, at a lower price somewhere else on the internet, we will refund the difference to you. The claim must be from the lead passenger on the booking. We can only price match a booking that has been made online. The lower price holiday must be accurately priced, available to book immediately online and be from an abta bonded company. The policy does not apply to bookings of 9 passengers or more. The policy only applies when both flights and accommodation are booked together under the same reference number, this does not apply to individually booked elements the price match is only valid on the total holiday cost and not individually priced elements. The email must be sent to [email protected] within 24 hours of placing your online booking. Refunds, if applicable will only be made to the card used to purchase the holiday. We are unable to accept price matches for a booking that departs within 14 days of the date booked. We reserve the right to refuse and claim where we are unable to substantiate the claim to our satisfaction and in accordance with the above points. We reserve the right to remove this offer at any time. Sit back, relax and look forward to your trip without the financial worry. Subject to supplier availability. Terms and conditions apply. 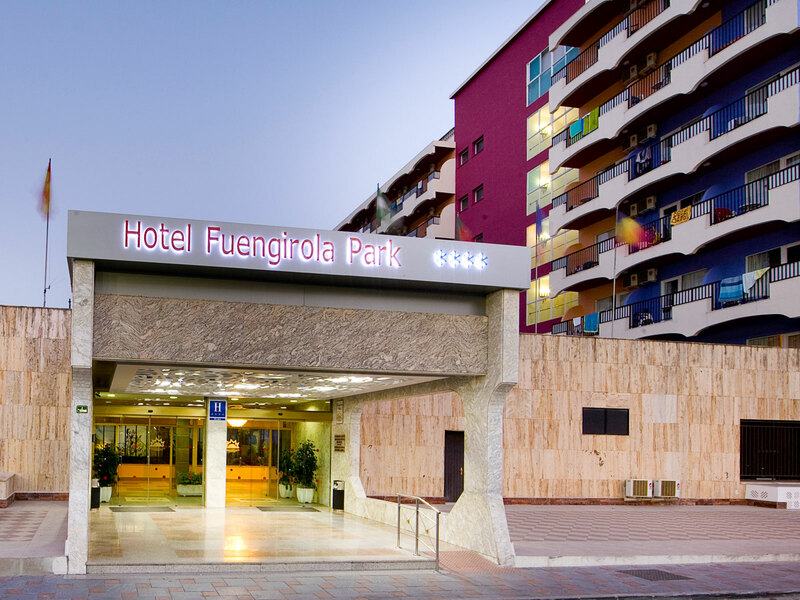 This pleasant hotel is located in Fuengirola's tourist centre, approximately 150 m from the beach and 20 minutes from Málaga airport. The surrounding area is littered with several shopping areas filled with shops and boutiques as well as scores of superb bars and restaurants. The hotel was built in 1976. 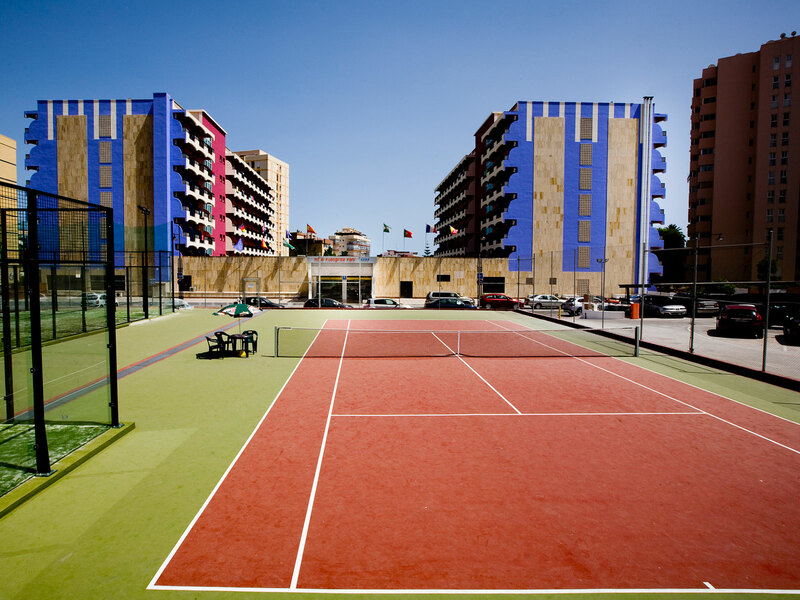 Guests are welcomed at the accommodation, which has a total of 391 rooms. In the air-conditioned establishment, travellers are welcomed at the reception area with 24-hour reception and a 24-hour check-in/check-out service. The individual storeys can easily be reached via the lift or stairs. 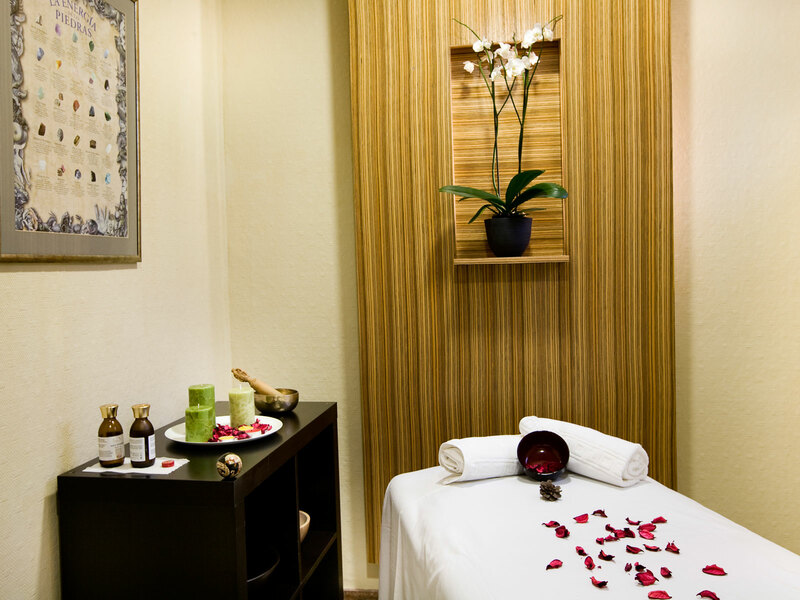 Amenities include a safe and a currency exchange service. Wireless internet access in public areas allows guests to stay connected. 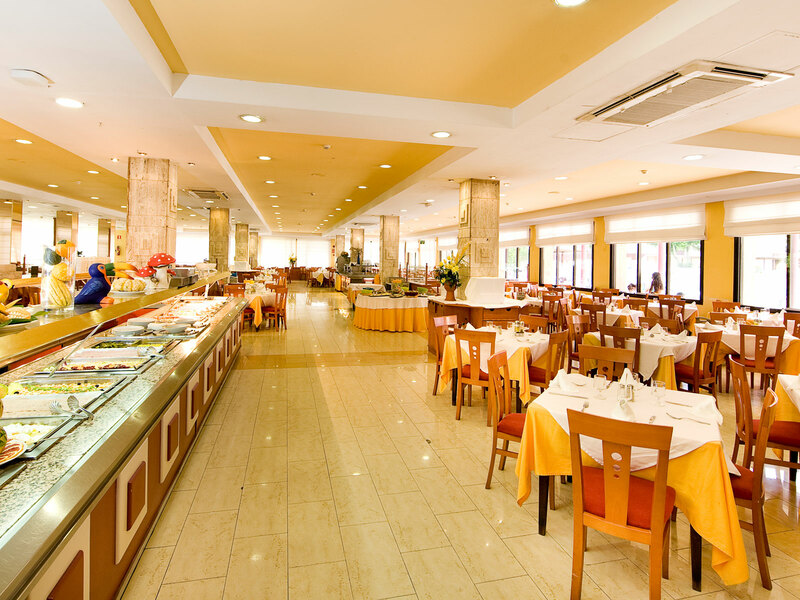 Among the culinary options available at the hotel are a restaurant, a café and a bar. Various shops are available, including a supermarket. The grounds of the accommodation feature a playground and an attractive garden. Additional features at the establishment include a TV room and a playroom. Travellers arriving by car can leave their vehicles in the garage or in the car park. Available services and facilities include a childcare service, medical assistance, room service, a laundry service and a hairdresser. Active guests can make use of the bicycle hire service to explore the surrounding area. 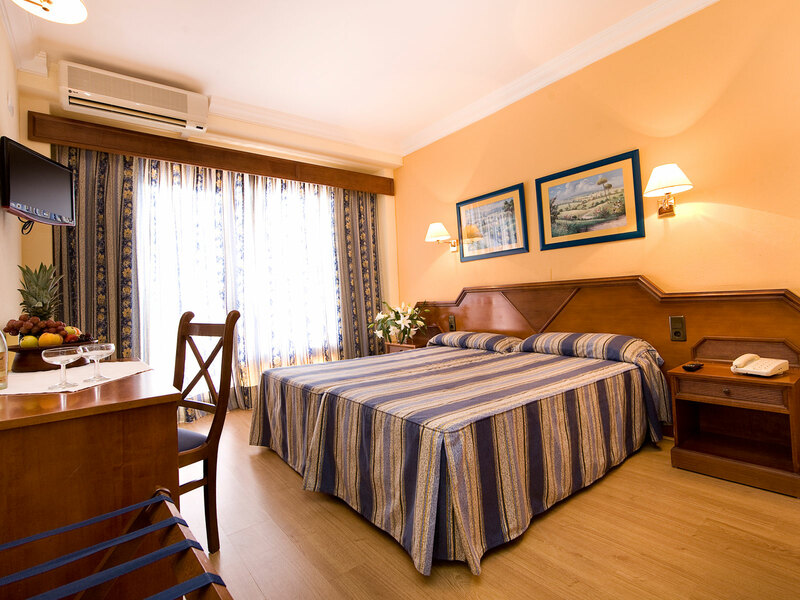 Each of the rooms is appointed with air conditioning, central heating and a bathroom. Most rooms feature a balcony with a view for guests' enjoyment. There is also a safe. Guests will also find a mini fridge included as standard. Other features include internet access, a telephone, a TV and WiFi (for a fee). The bathrooms have a shower and a bathtub. A hairdryer is also available. Catering options available at the hotel include half board, full board and all-inclusive. Available meals include breakfast, lunch and dinner. The accommodation also offers snacks. Options include alcohol-free drinks and alcoholic beverages. Our prices are per person, based on two people sharing, and are all subject to availability. Prices are correct at time of publish are subject to change at any time. Our offers are extremely popular as many are exclusive or have added values therefore they operate on a first come first served basis with limited availability. Any upgrades and extras not outlined with the promotional offers can be added however all costs will be an additional cost payable by the customer. Once flights are confirmed the onus is with the client/s to complete their own online check-in, if you require this service or additional support from the team a supplement will apply. Our premium support package is not included in the deal. This website / landing page does not host live pricing, we will endeavour to keep our prices updated as close to live prices as possible. Please note that this website is a price service providing website and its motive is solely to assist customers in sourcing the availability of travel-related goods and services and to make permissible reservations or otherwise perform business with suppliers. We do not operate any suppliers. We do not share our client data with any third parties. We are ABTA bonded and ATOL protected. If you are banned from flying with any airline we will be forced to cancel your holiday and refund would be processed without any notice. We hold right to ask you for any identity proof or payment authorisation code/s in order to avoid any fraudulent transactions. Board Basis - All Inclusive. TRAVEL ADVICE:The Foreign & Commonwealth Office (FCO) issues up-to-date travel advice on destinations, health, safety and security as well as information on passports and visas. We advise all passengers to check for any travel advice for the destination that they are travelling to. Click here to visit their website. You can accept or decline cookies at any time by accessing the preference panels from your browser's main menu (usually found under 'Edit', 'Tools' or 'Options'). However, if you choose to remove cookies elements of the site may not work properly or your use of the site may be impaired. This information may include the pages you visit and products viewed or purchased. This helps us to improve and develop our offers and to provide you with better products and services tailored to your individual interests and needs. PLEASE NOTE: if you choose to use SuperEscapes.co.uk without declining any non-essential cookies, then your use will constitute implied consent to the non-essential cookies that are set. Super Escapes is an Accredited Body Member of Broadway Travel Service (Wimbledon) Limited, ATOL number 3634. Our aim is to make the holiday experience a joyful one from the moment you make your first search. Book with Confidence. We are a Member of ABTA which means you have the benefit of ABTA's assistance and Code of Conduct. All the package and Flight-Plus holidays we sell are covered by a scheme protecting your money if the supplier fails. Other services such as hotels or flights on their own may not be protected and you should ask us what protection is available *Potential savings. Charges may be made by certain low cost airlines which is not a charge by SuperEscapes.co.uk. Free online debit card payments when paying in full and for new online bookings only. Credit cards charged at 0.00 %. Low deposits subject to availability and selected dates & suppliers.